Your CV is the first step in securing your dream job. However, for each vacancy recruiters and employers work on, they are deluged with CVs, sometimes sifting through hundreds every day. Since they don’t always have the time to read a CV from top to bottom, they often look for ways to weed out candidates as quickly as possible. From a job seeker’s perspective, it is imperative you make sure your CV catches their attention. Below, Anglo’s recruiters provide you with their top tips on how to make your CV stand out so that you are shortlisted for roles they are working on. Your CV must looks readable and should not be a solid wall of text (it’ll go straight in the bin if this is the case). Format and structure it so it is professional, clear and easy to follow and understand, keeping the style consistent. Avoid long paragraphs, and consider using bullet points to break down information into manageable pieces. Clearly separate sections using clear titles and headings so employers can quickly scan your CV to pick out bits they’re specifically looking for. Bolden what you must and highlight where needed, but do not go overboard with unnecessary embellishments, such as different fonts and colours. A little colour can actually help your CV to stand out if used sparingly and in the right places, but you don’t want your CV to look as if it’s been thrown together by a primary school kid. Stick to conservative colours. Note: checking for errors does not cause brain damage! For the love of God, check your CV’s content for any spelling and grammatical mistakes. It is not an urban legend for employers to overlook CVs for having the tiniest of typos in them - careless errors simply demonstrate a lack of attention to detail, and who’d want to hire someone who isn't detail-oriented? There is no excuse for it. Your PCs have spelling and grammar checking tools, and failing that, get someone else to check it for you if you think you’ve developed tunnel vision. Be concise. Your CV is not your autobiography. Two pages of A4 is ideal to keep a hirer’s interest piqued. For contractors, three pages is acceptable, and if you have countless contracts spanning many years, simply focus on the ones which are most relevant. A personal statement should be a snapshot of your key skills and your goals. They are a quick way to make a good first impression, however most people don’t use this opportunity to do just that. As a result, personal statements we read are mostly samey, generic and excruciatingly cliché. Unless you’re going to do it right, you’re not doing yourself any favours by including one on your CV. And if you want to do it right, simply highlight your professional attributes or, better still, focus on achievements you are able to quantify - give employers a taste of why they ought to continue reading your CV. Keep it super succinct – we’d recommend no more than 50 words. Only list genuine skills and use the same adjectives used in the description of the job you’re applying for. Recruiters and employers quite often search for these keywords alone. Where possible, give metrics-based evidence to indicate how you used your skills. List this in order of most recent first and include the company name, your job title and start and finish dates. Focus on achievements in current and past roles, rather than just duties, and list these by relevance to the job you are applying for. Include renowned projects you have worked on, highlighting what role you played in the success of these. Do you have an online portfolio showcasing your work? If so, be sure to include a link to this in your CV. List by most recent and most relevant first. There is no need to include qualifications that aren’t relevant to the job you are applying for. If you’re currently working on a qualification which hasn’t yet been awarded, you can list these as long as you make it clear they haven’t been completed. Don’t waste precious space providing references or referee details on your CV. All this does is add clutter, take up valuable space which could be better utilised showcasing other skills. Oh, and there’s no point in leaving a placeholder saying “references will be provided upon request” because that’s just stating the darn obvious. Think about your target audience and tailor your CV so that the information they are likely to be more interested in appears first. If your academic achievements are most important to the employer – i.e. 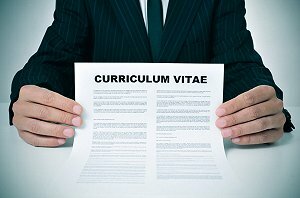 perhaps you graduated from a prestigious university or a professional qualification is a prerequisite for the job you are applying for – then feature this information towards the top of your CV (under your personal statement if you include one). Our article on how to write a great looking engineering CV provides useful tips. Seems like a no-brainer, right? But you’ll be surprised at just how many CVs our recruiters receive with no email addresses or telephone numbers, or included ones which are redundant. Think about putting this information somewhere obvious and easy to find, such as at the top of the page, under your name, or in a footer. And, of course, ensure the details are correct (again, you’ll be surprised). Ensure your interests are actually interesting! You have the chance to distinguish yourself from other applicants by putting across your personality, and this can make all the difference for hirers who are shortlisting candidates to interview. We would recommend only including an interests and hobbies section within your CV if and only if it serves as an attractive extra - and perhaps may be an ice-breaker - at interview. Otherwise, it’s simply a waste of valuable space. Why don't you take a look at our current job opportunities here?